Free Shipping Included! Bedtime Teddy Latch Hook by J P Coats at Designers Artists. MPN: 3159405. Hurry! Limited time offer. Offer valid only while supplies last. If you have any questions about this product by J P Coats, contact us by completing and submitting the form below. If you are looking for a specif part number, please include it with your message. 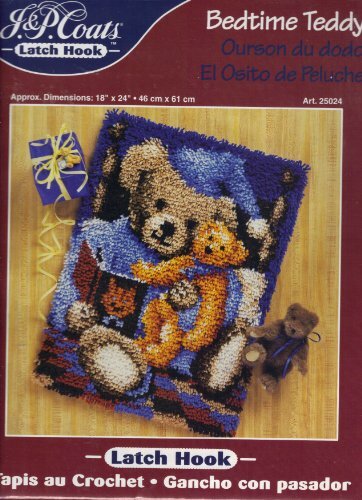 Oogark Wall Hanging Latch Hook Rug Kit 18"x 24"